Red white and blue! Getting ready for Jubilee weekend. Costumes for hire and lots of new accessories. Come in early before the last minute rush! The S Factor comes to Shaftesbury! Don’ t forget the “S Factor” at Shaftesbury Abbey on Saturday June 2nd under the auspices of the Royal Shakespeare Company’s Open Stages project. 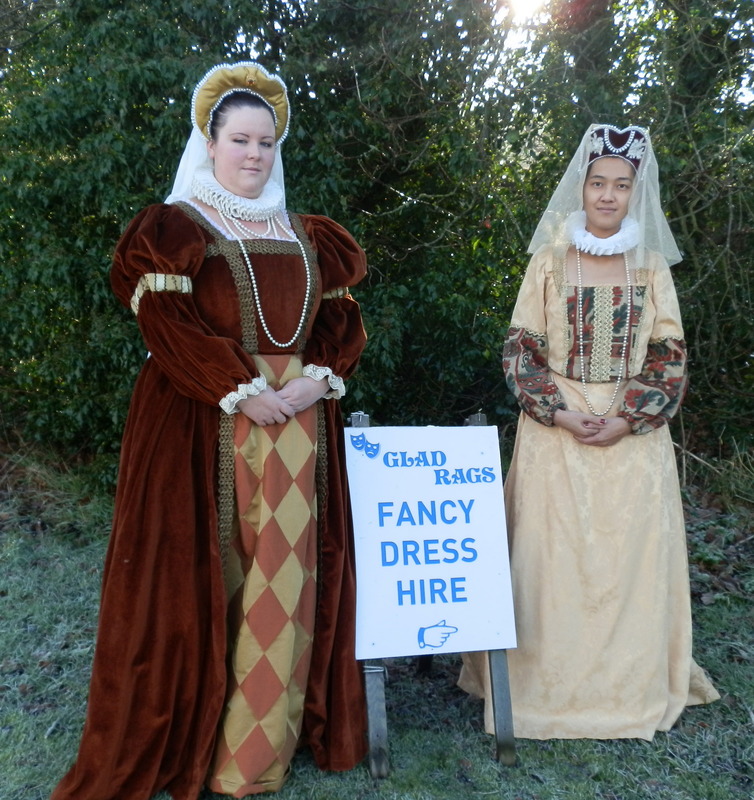 Whether you are a participant or a visitor, why not come to see us at Glad Rags to hire your Tudor ostume? 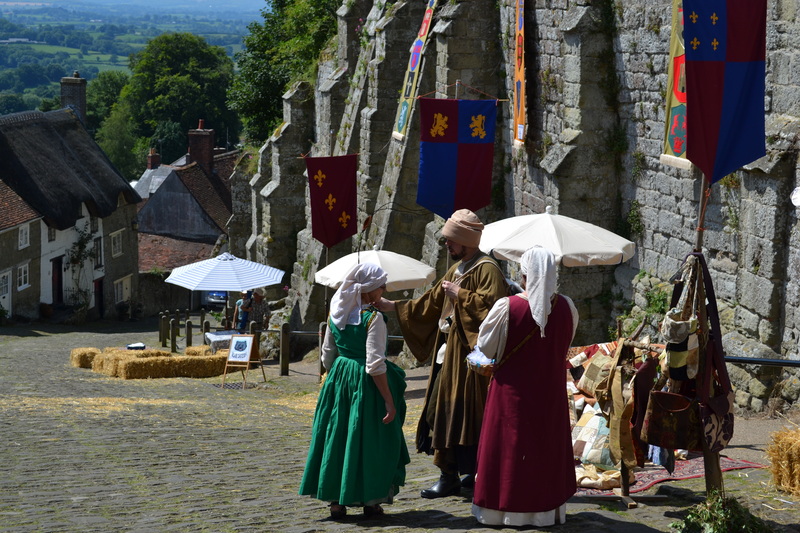 THE MEDIEVAL EVENT AT GOLD HILL FAIR IN SHAFTESBURY ON SUNDAY JULY 8TH ORGANISED BY GLAD RAGS! WE ARE LOOKING FOR PARTICIPANTS. EVERYONE IS WELCOME INCLUDING FAMILIES TO MAKE IT A DAY OF FROLICS AND FUN. YOU WILL BE DRESSING UP AS CHARACTERS FROM ALL WALKS OF LIKE. REMEMBER THAT GLAD RAGS ARE SUBSIDISING THIS EVENT BY ONLY CHARGING £5 PER COSTUME. THIS YEAR, THE DAY WILL BE BASED ON THE VISIT OF CATHARINE OF ARAGON TO SHAFTESBURY ON HER WAY TO MARRY PRINCE ARTHUR TUDOR (BROTHER OF HENRY VIII). WE WILL BE HOLDING AN OPEN DAY AT OUR SHOP ON SUNDAY MAY 20TH FROM 11 TIL 4 FOR ANYONE INTERESTED TO COME AND TALK ABOUT THE DAY AND CHOOSE COSTUMES. IF YOU CANNOT MAKE THAT DAY AND WOULD LIKE TO TAKE PART, PLEASE CONTACT US AT THE SHOP. Easter at Pyt House Gardens! Come and spend some time on Easter Monday with us and meet our Easter bunny at Pyt House Gardens! Pam has been to Thailand shopping! 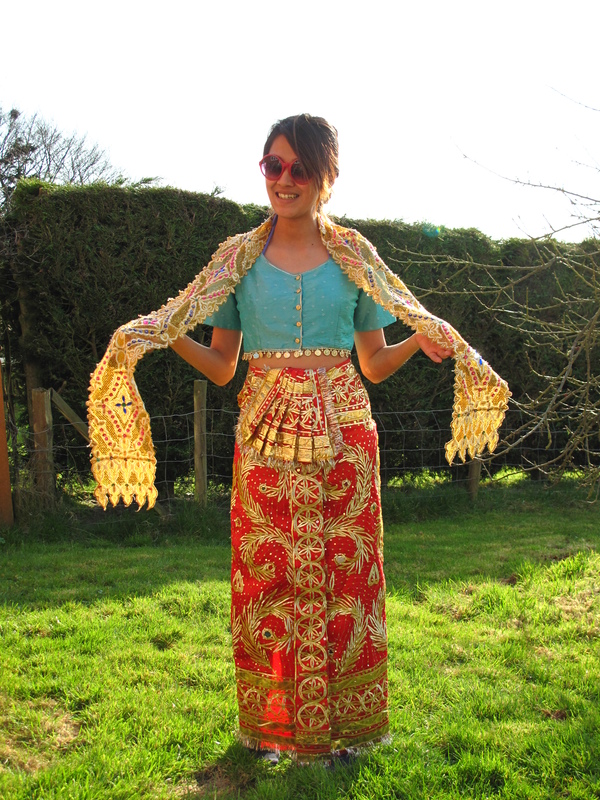 Pam has just come back from Thailand, brought a fabulous costume as modeled by Sun and also more fabric, can’t wait to see the costumes made from it! Our new Glad Rags website is up and running at www.gladragsdorset.co.uk come and have a look at our hire costumes. You don't have to be mad to work here but it helps! The Easter bunny will soon be here! 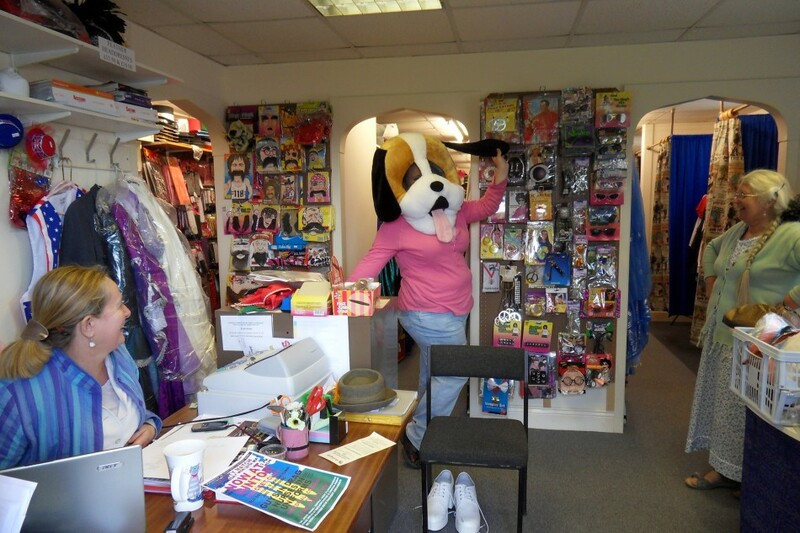 Come visit us at Glad Rags for your hire costumes and accessories to make your Easter parties go with a swing!